Welcome home to affordable condo living that is pet friendly at TROPICANA MANOR! 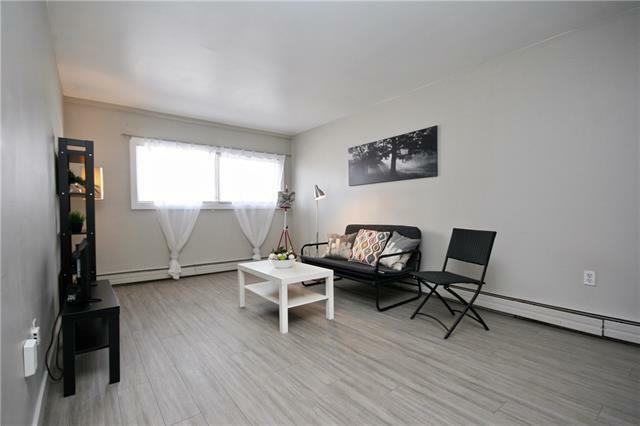 Updated with LAMINATE flooring, baseboards, modern paint & light fixtures. This CORNER UNIT has everything you need without any wasted space, plus additional windows to bring in natural light. 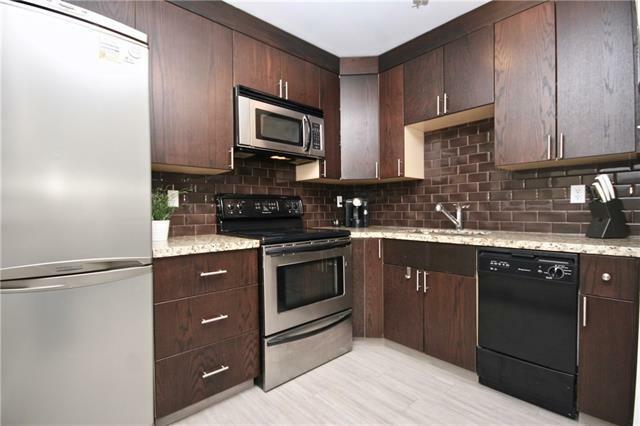 Modern kitchen features granite counters, stainless/black appliances & subway tile backsplash. Open layout leaves lots of options for dining space or large living room. Bedroom is a great size & offers large closet. Bathroom features a soaker tub, floating vanity, marble counter & raised vessel sink. FULL-SIZED LAUNDRY. Condo fees include Electricity, Heat, Water & Sewer! Separate storage locker (approx 58 x 34). Plus you have your own parking stall. 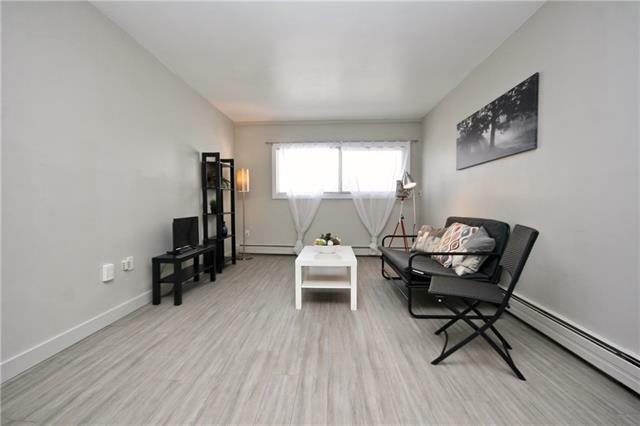 Short walk to 17th Avenue, excellent access to transit & bike to the core. 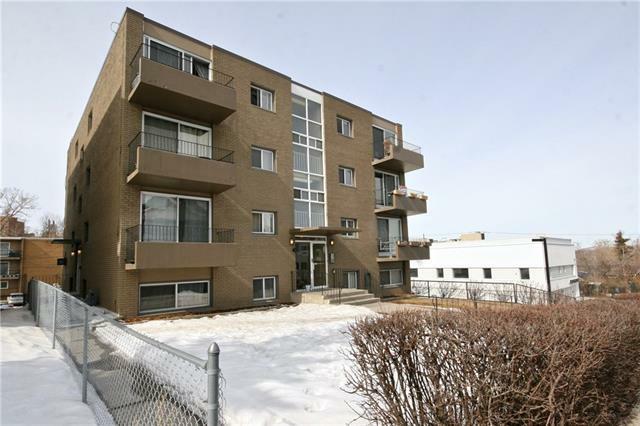 Solid CONCRETE building, this condo is a must to view! Great opportunity to invest in the real estate market close to trendy downtown living! Unit is located below grade, RMS measurement includes below grade area.